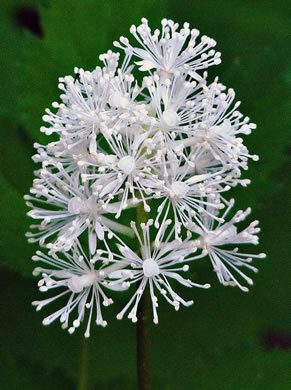 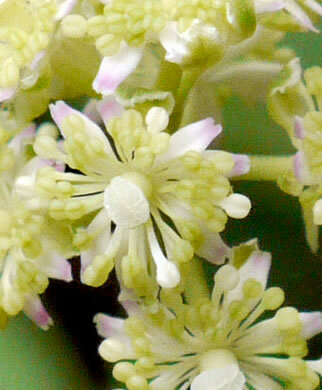 The petals are clawed, cleft apically, and early deciduous, per Vascular Flora of the Carolinas. 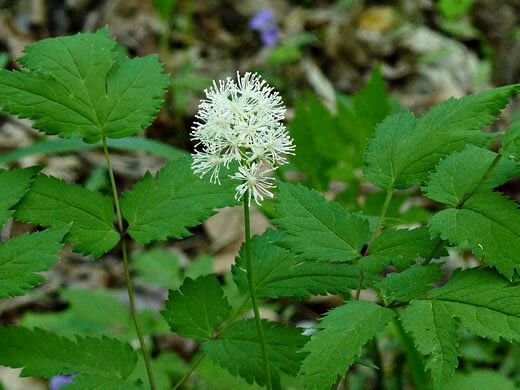 Perennial to 80cm tall with 2 large compound leaves, per Wildflowers of the Eastern United States. 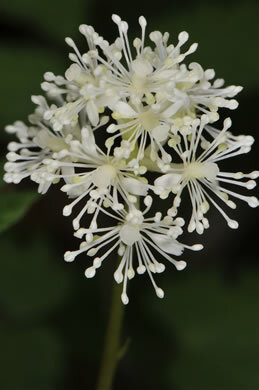 Small white flowers borne in a compact raceme extending above the leaves, per Wildflowers of Tennessee. 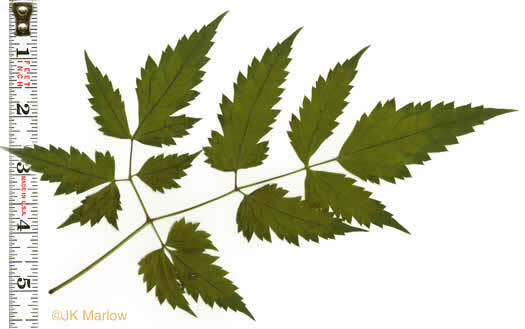 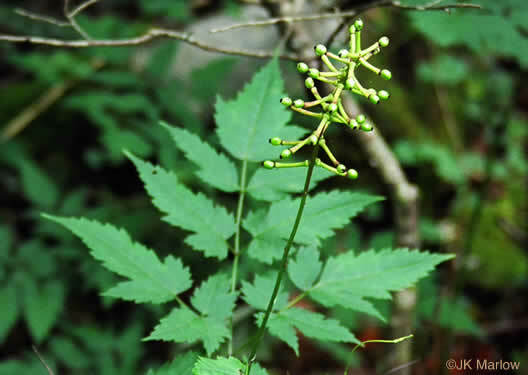 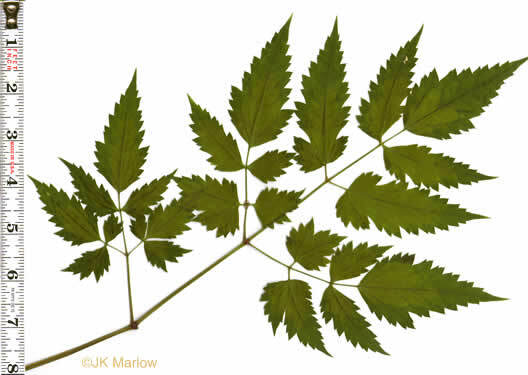 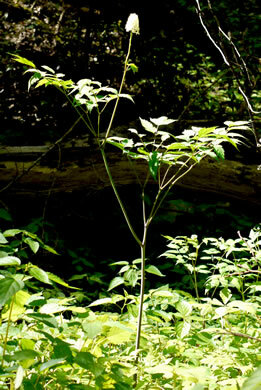 Four to five caducous sepals [that is, they fall off early or prematurely], per Vascular Flora of the Carolinas. 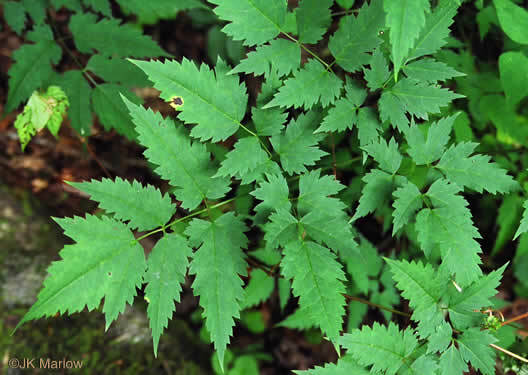 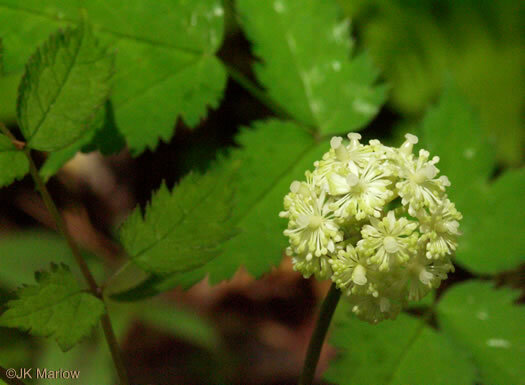 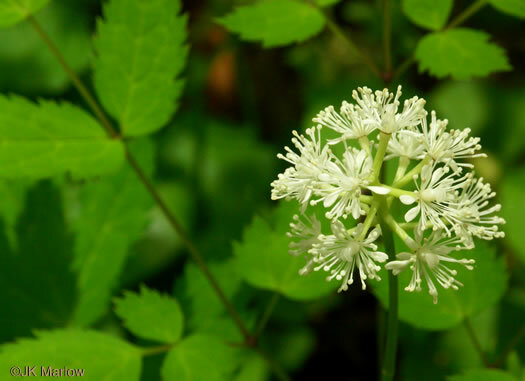 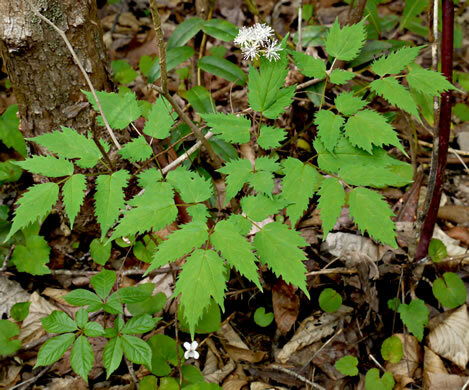 Leaves readily distinguishable by swellings at the tips of the leaflets, per Guide to the Wildflowers of SC. 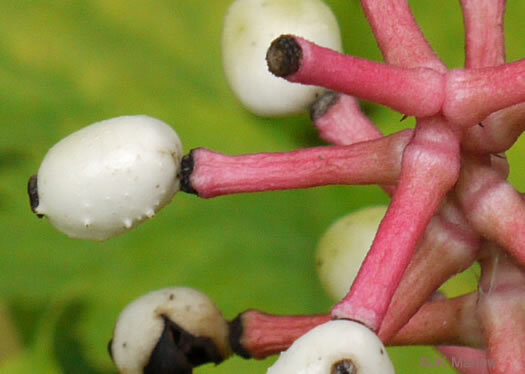 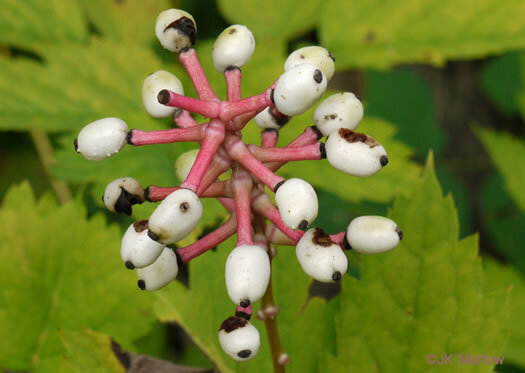 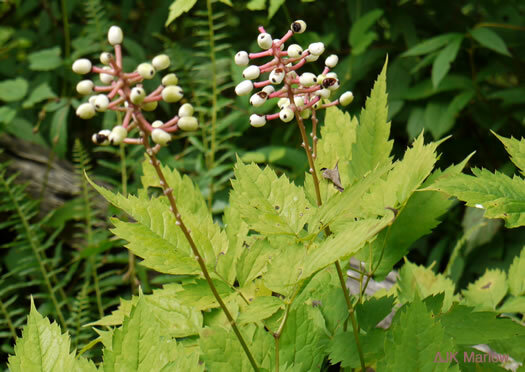 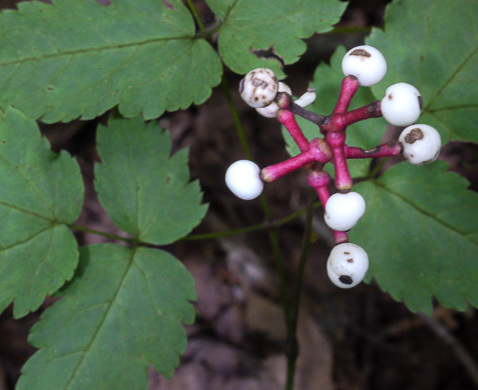 White berries with purplish black "eye" on thick fleshy pink pedicels, per Wildflowers of the Southern Mountains. 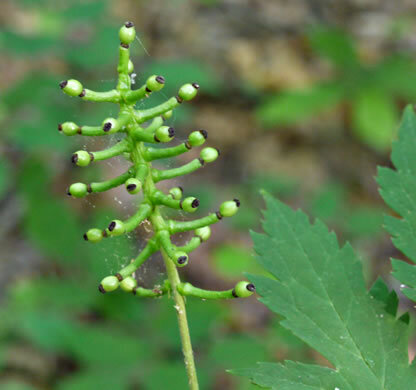 Fruiting pedicels very stout, per Wildflowers of the Eastern United States. 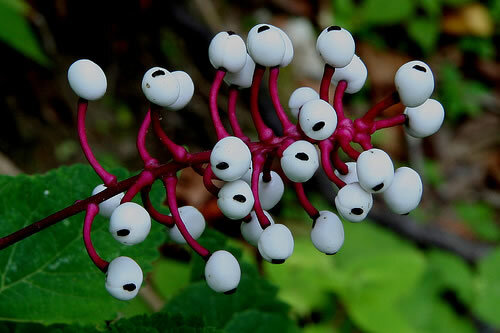 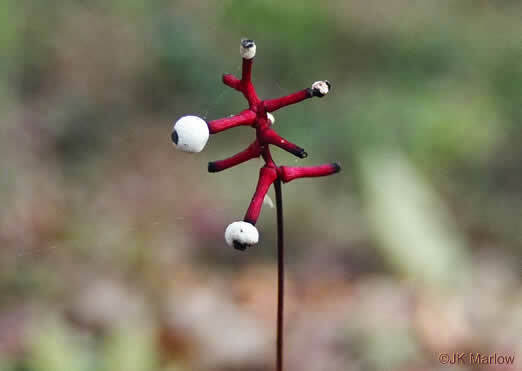 The fruit resembles the porcelain eyes once used in dolls, per Wildflowers of Tennessee, the Ohio Valley, and the Southern Appalachians. 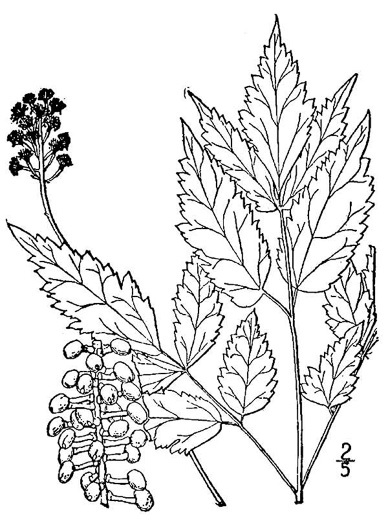 The fruit is poisonous, per Wild Flowers of NC, 1st edition.